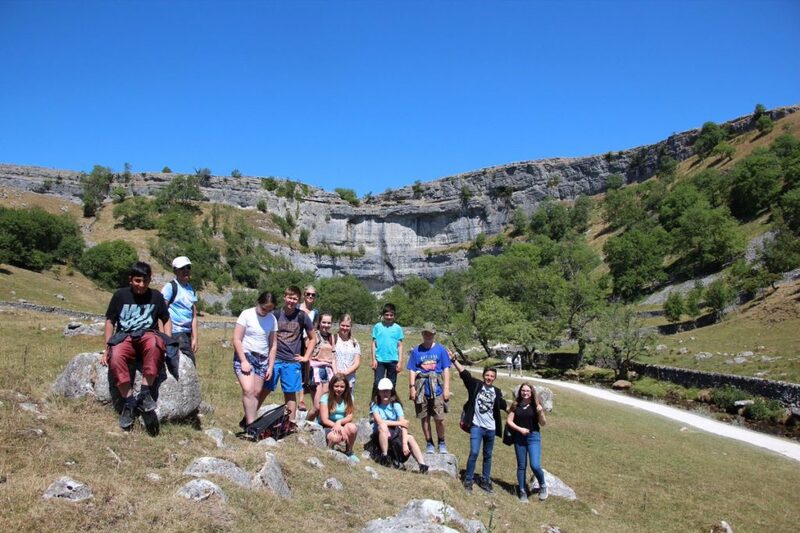 Students have three hours per fortnight of geography in Key Stage 3 at Upper Wharfedale School. They then have the opportunity to continue at Key Stage 4 with AQA GCSE geography, should they wish to do so. The geography department aims to create a positive climate in which students are given a variety of opportunities to achieve excellence. An investigation into the physical and human geography of Kenya. Assessing the impacts of tourism on Kenya and its people. An understanding of river processes and river landforms. The cause, effects and management of flooding. Types of industry and how this industry has change in the UK. The positive and negative impacts of globalisation on the developing world. Sites, situation and function of a variety of settlements. An understanding of how urbanisation can have both positive and negative impacts on both rural and urban communities. Decision Making Exercise – How can we make Grassingtons’ ‘energy supply’ sustainable? In preparation of the pre-release DME which student undertake at KS4. Understanding the three main types of rocks and their different characteristics and formations. Investigating different rock landforms in the UK and how weathering can have an impact on this environment. Coastal processes including types of erosion, transportation and depostion. Concordant and discordant coastlines with case studies to support. The cause and effects of climate change both world-wide and in the UK. An understanding of the types of mitigation and adaptation of climate change. An investigation into the physical and human geography of China. An understanding of the development gap within the country between rural and urban areas. One China policy. To understanding how tropical storms are formed. The impacts and management of tropical storms, including Hurricane Katrina. To understand how tectonic plates, move and the processes which take place between their boundaries. Volcanoes and earthquakes case study. Cause, effect and management of these hazards. An understanding of small and large-scale ecosystems, food webs and food chains. Case study on an introduction of invasive species within the UK. Large scale ecosystems under threat (Amazon Rainforest). To understand how people and animals can adapt to extreme climates. To be aware of the opportunities and challenges of these extreme climates. The challenges and opportunities of urban growth in Rio De Janeiro. Geography is a popular and successful GCSE option which is taught in mixed ability option groups. Students have three hours a week in year 10 and 5 hours over a fortnight in year 11. Year 10: Students will study Natural hazards (including tectonic hazards, weather hazards, climate change and extreme weather in the UK). The living world (including ecosystems, tropical rainforests and either hot deserts or cold environments. Physical landscapes in the UK (including the UK’s relief and landscapes, coastal landscapes and river landscapes). Urban issues and challenges (including the urban world, urban change in the UK and urban sustainability) and the development gap. KS3: Progress is reported to students using the words ‘considerable, sound, some or insufficient’ based on the progress they have made from their starting points. KS4: Using the 1-9 scale for GCSE, progress towards target and an attitude to learning grade. KS3: Homework at KS3 is usually in the form of independent learning projects which are set 3 times a year in each year group. The themes compliment and extend the topics being studied in class. KS4: Students are set homework weekly. This can involve a variety of activities e.g. research, exam style questions, case studies or GCSE pod assignments. Iceland visit in KS4 – A great opportunity for students to visit the land of ice and fire. Northern lights, blue lagoon and Skogfoss waterfall to name just a few of the amazing attractions we get to visit and see. We work with the Yorkshire Rivers Trust and National Trust on a frequent basis, running visits to the local environment and organising guest speakers to visit the department.